Chelsea legend, Frank Lampard has predicted that Pep Guardiola’s Manchester City will win Liverpool in Wednesday’s Champions League quarter-final first-leg clash at Anfield. Lampard, who played a season at City towards the end of his career, expects Guardiola’s men to beat the Reds and go all the way and win the Champions League this season. 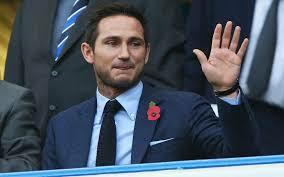 Speaking about Liverpool’s Champions League clash with City, Lampard told BT Sport: “I am going to go for City. “They’ve got very tough games and we’ll come to that later and tomorrow I’m sure. Meanwhile, Liverpool are the only team that have defeated City in the Premier League this season with a 4-3 win.